Although work to introduce IFRS 9 dates back to before the financial crisis, its introduction was accelerated after the crash due to concerns that financial institutions were too slow in recognising loan losses. 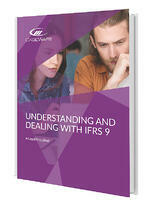 Most parts of IFRS 9 became mandatory for all companies with accounting periods beginning on after January 1, 19. Although some companies with shorter accounting periods may already be incorporating the changes. IFRS 9 replaces IAS 39 Financial Instruments: recognition, management and its likely to be the introduction of a new expected credit loss model - which replaces the incurred loan loss model or IAS 39 - that is likely to cause the most challenges for concerns fro companies. This is because the new model will increase the need for loss provisions across all sectors, particularly as trade receivables can be considered financial instruments. In our new eBook, we examine in the detail the changes and challenges introduced by IFRS 9 and set out hoe companies can help themselves remain compliant. Download our new eBook by filling out the form to the right.